While I was an elected official for the past 8 years, my schedule was extremely busy with meetings, events, legislative work, and campaign work. I was being pulled in so many directions. Now, I can direct my focus to my projects and personal life. I am going full force to accomplish all I can while I have more freedom and some privacy. After all, this time is limited since I plan to run for elected office again in the future. With my new-found free time, I am still involved with community organizations, but I also have more time to read laws, rules, and cases for work, and fiction and nonfiction for pleasure. I am trying to spend more time on my novel, Internet retail business, financial bookkeeping, and home. I enjoy drafting laws and lobbying at the legislature, but now I want to also do well litigating the laws and facts in the courts as a trial attorney. I enjoy influencing many things in society. I am determined to take it to the next level in law, politics, and business. Today, Saturday, April 16, 2011, I picked up my friend and former office manager of my State House office, Baron Gushiken to see the ashes of our friend Senator Nadao “Najo” Yoshinaga be released into the ocean at Magic Island, Ala Moana Beach Park from 1:30 P.M. Senator Yoshinaga participated in the Univeristy of Hawaii John A. Burns School of Medicine, thus, they coordinated this service. Governor John A. Burns whom the school is named after, was his good friend. Senator Yoshinaga created some of Hawaii’s most influential laws. 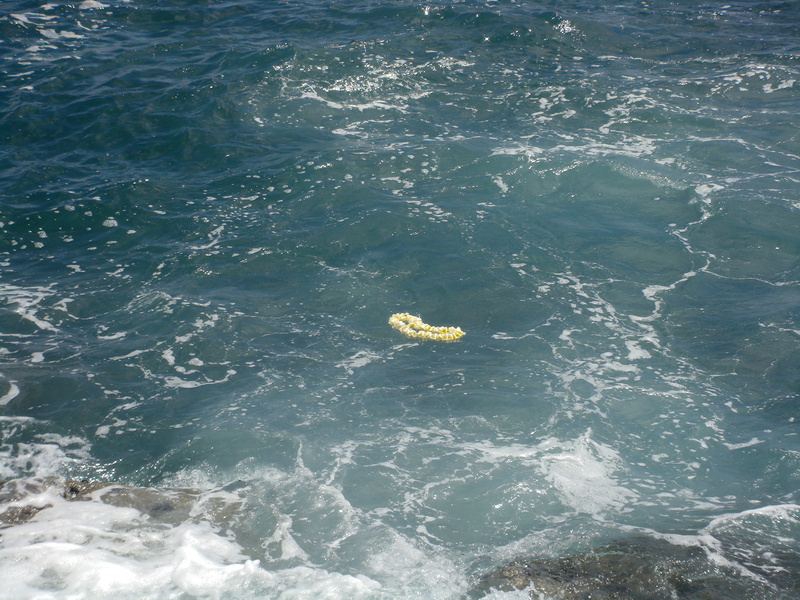 I threw a lei into the ocean for him. Then moments later, a wave splashed against the rocks, flew up, and landed on my entire front side of my body. I miss the Senator so much. Though I know he is still here with us. Hawaii House Speaker Calvin K.Y. Say, Honolulu Deputy Prosecuting Attorney Tricia Nakamatsu, and I, after meeting with Speaker Say at his office on Thursday, April 14, 2011 from 3:00 P.M. We discussed issues relating to the Department of the Prosecuting Attorney, City and County of Honolulu. I was interviewed by Jennefer Barua, an undergraduate student at the Univerisity of Waterloo (Waterloo, Ontario, Canada) regarding the law on shark fins at my office on Tuesday, April 12, 2011 from 1:30 P.M. I was very impressed with her questions because she looked at all sides of the issue including environmental impact, cultural significance, unintended catches by the fishing industry, and impact on the businesses. I wish her the best in her research project and her future goal to have a career in public policy. 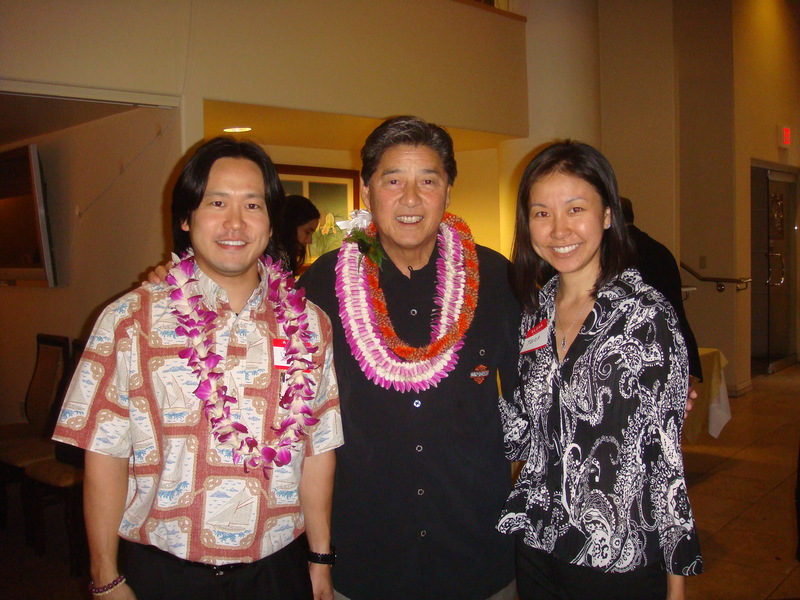 Representative Jerry L. Chang, Honolulu Deputy Prosecuting Attorney Tricia Nakamatsu, and I at Chang’s fundraiser at Mandalay Restaurant on Thursday, April 7, 2011 from 5:30 P.M. to 7:30 P.M.